Sta. Lucia’s Michelle Robles talks about La Breza Tower | La Breza Tower - Live in class. Feel the Breeze. La Breza Tower is also a perfect home for starting families. “These may be newly wed couples who want to start on their own and who want to live separately from their in-laws.,” Michelle said. And aside from it being a home, La Breza Tower is also a good investment especially for balikbayans. “They could own a condotel unit here, so that when they want to go on a vacation in the country in a place with a hotel environment, complete with amenities. At that same time, while they’re out of the country, they can still earn from it on a quarterly basis,” Michelle said. And while Sta. Lucia has always been known for its Spanish-Mediterranean architectural design that gives a homey feel, La Breza boasts of an elegant interior design, which sports a modernized Spanish-Mediterranean look. 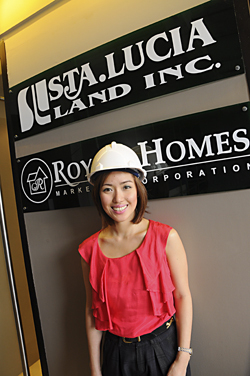 “We want a homey lifestyle, which matches a typical Filipino lifestyle,” Michelle said. Thus, the name itself says it all—life is a breeze at La Breza Tower. A convenient lifestyle where you’d feel so much at home, and still enjoy the city life when you go out.